Why not take every measure possible to ensure that you are healthy at any age? Your ability to hear is one of the most important aspects of your overall health. Why not take every measure possible to ensure that you are healthy at any age? If you are looking to make effortless improvements to your hearing health, consider these four easy practices for protecting your hearing today. By wearing your hearing aid as recommended by your audiologist, you are improving both your physical and mental health in various ways. In being able to hear with the help of your hearing aid, you can easily stay active and involved in social gatherings as you hear with ease. Although may seem surprising, using your hearing aid can keep feelings of depression and isolation at bay by enabling you to communicate with others easily in any setting. Keeping your blood flowing is one of the most beneficial efforts of maintaining your overall health. With this, it can also benefit your hearing health over time! Maintaining blood flow is key to maintaining the health of even the smallest components of our hearing, such as tiny hair cells in our inner ear. While they seem small, these tiny cells are responsible for creating electrical impulses for the brain from sound, and because they don’t regenerate on their own, dying or are damaged cells can be especially detrimental on our ability to hear. One of the most straightforward ways to prevent hearing loss is to reduce the volume of the noise around you. Because noise-related hearing loss is entirely preventable, this is one of the easiest steps to take for improving or maintaining your hearing health. Turn down the stereo, use earplugs as needed, and stay away from environments with noise pollution to ensure that your hearing is here to stay. In visiting your audiologist, you will receive the professional evaluation and guidance necessary for next steps on protecting your hearing. 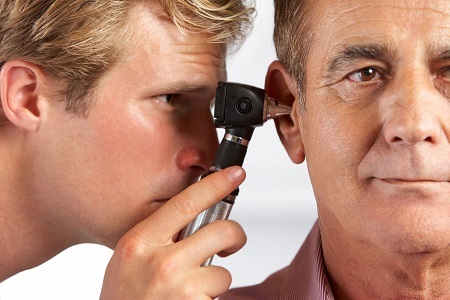 Regular visits to your audiologist can also allow you to monitor hearing loss over time and give you access to the resources you need to hear as well as you can at any age. This entry was posted on Friday, June 22nd, 2018 at 11:22 am. Both comments and pings are currently closed.